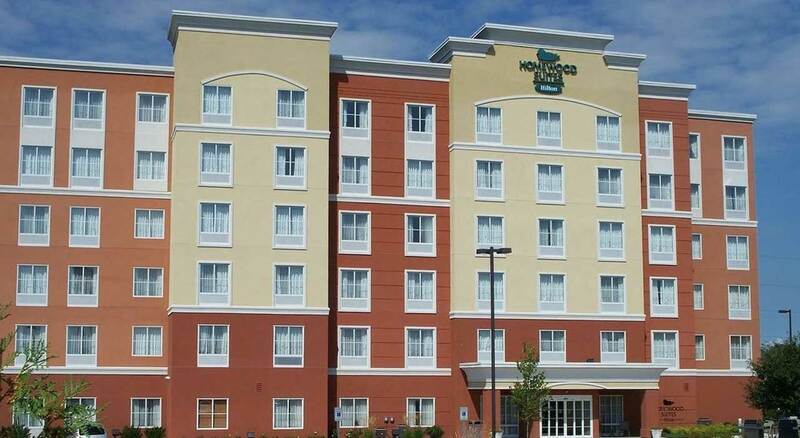 A Comfortable Home Away from Home in Fort Wayne, IN Located at I-69 and US Hwy 24 West (Exit 302), just 10-minutes from Fort Wayne International Airport and offering complimentary airport shuttle service, Homewood Suites by Hilton Fort Wayne is the ideal base. The hotel is situated close to many businesses, including Franklin Electric, Frontier, General Electric, General Motors, Lutheran Hospital, Republic Services, Steel Dynamics, Swiss Re and Vera Bradley. Our Fort Wayne, Indiana hotel offers comfort and convenience, whether you’re staying for a few days, weeks or months. We are also a dog-friendly hotel, so feel free to bring Fido along. Unwind in the heated indoor pool (at the adjacent Hilton Garden Inn Fort Wayne) and keep up with your gym routine with a workout in the fitness center. Start your day with a complimentary hot full breakfast and enjoy a complimentary social* served Monday through Thursday evenings. Make yourself at home in our spacious suites with separate living and sleeping areas. The fully equipped kitchen makes it easy for in-room meal preparation. Stay connected to family and friends with complimentary wireless internet access. Host your next business meeting in the 625 sq. ft. meeting room for up to 30 people at our Fort Wayne, Indiana hotel. *Subject to state and local laws. Must be of legal drinking age.